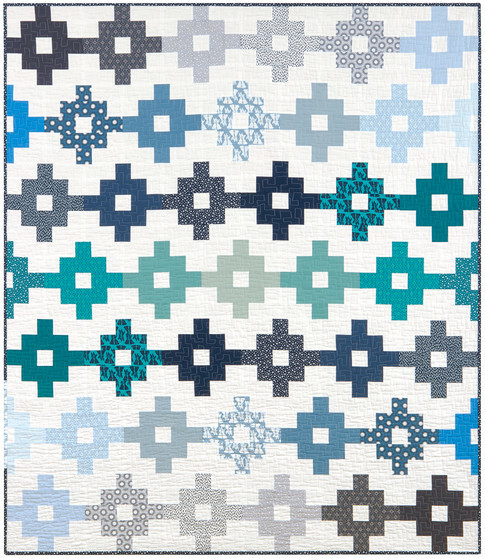 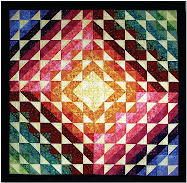 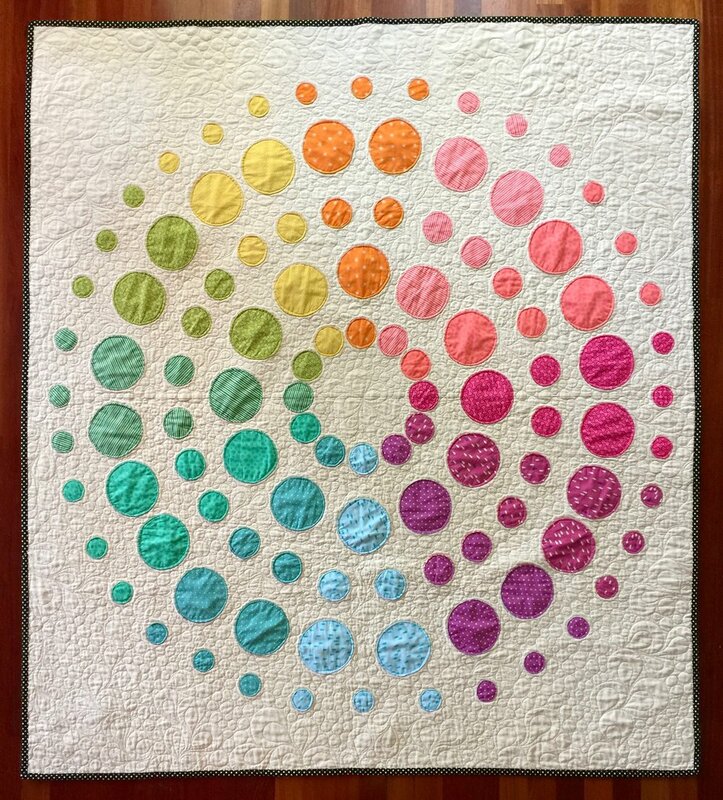 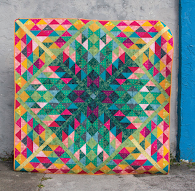 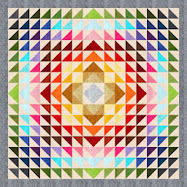 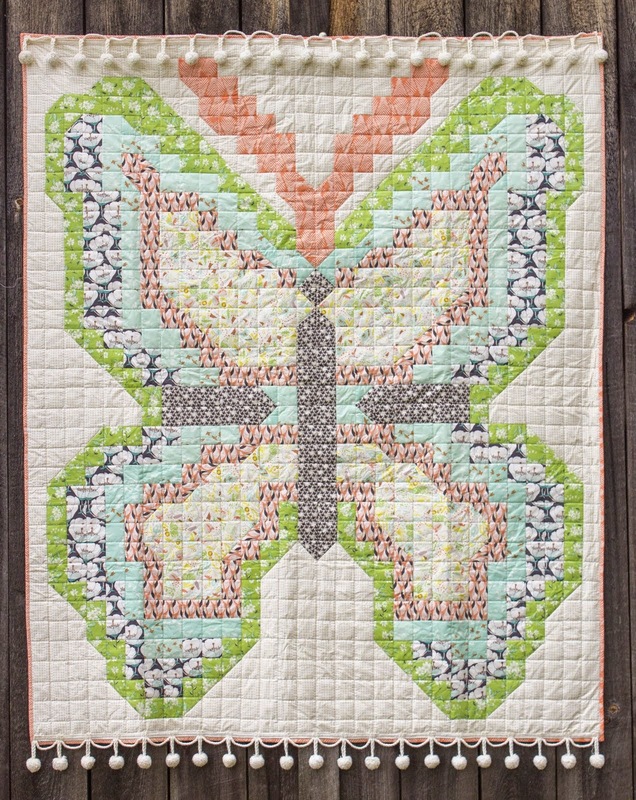 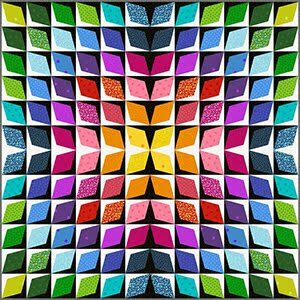 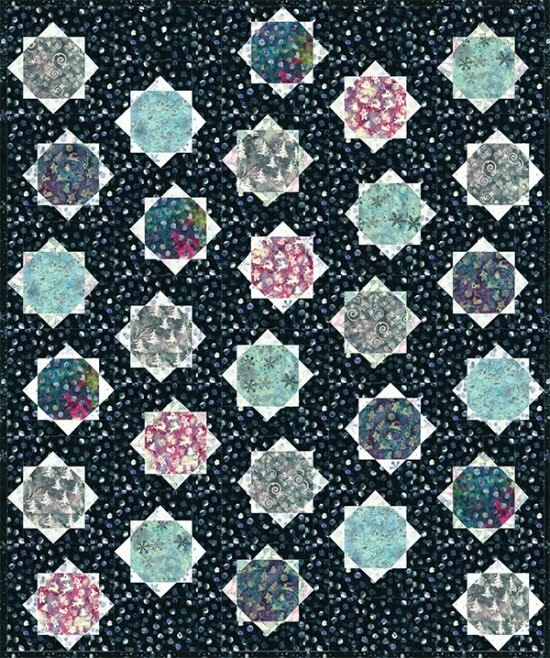 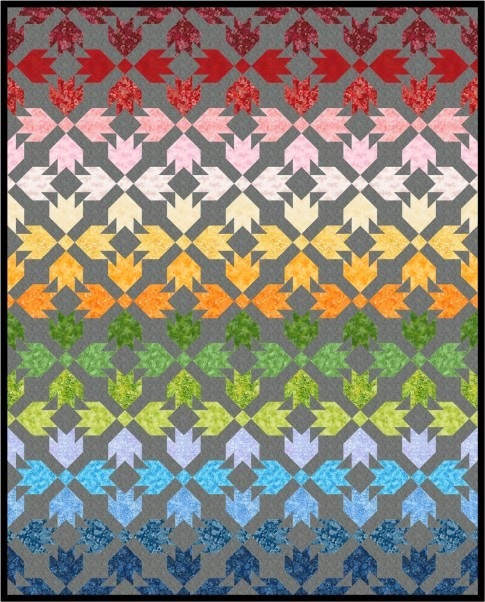 When we first came across Esch House Quilts, Debbie Grifka had just revealed a quilt called Ephemeral Elegance. 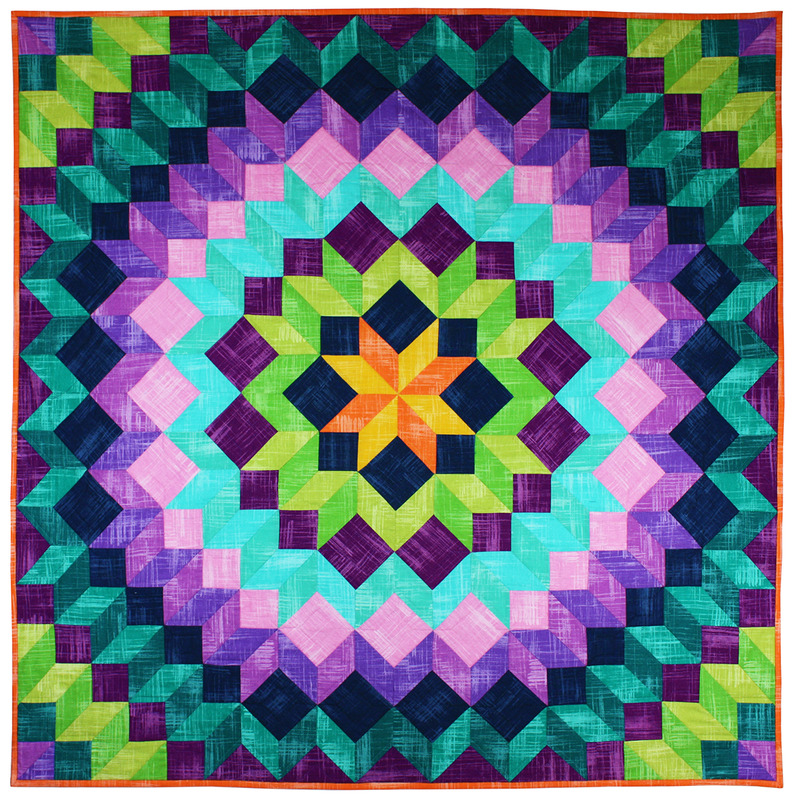 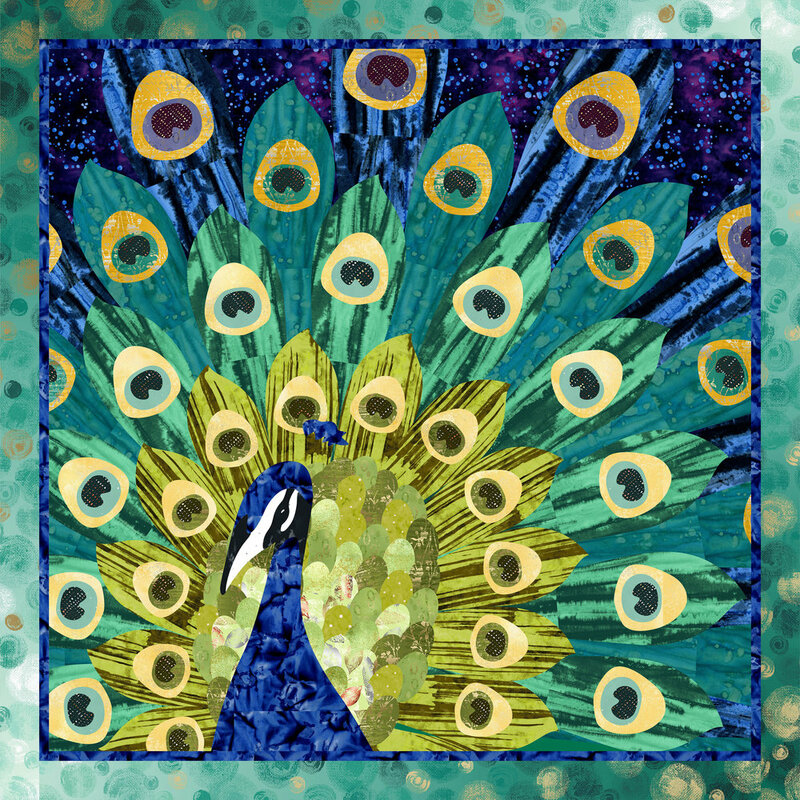 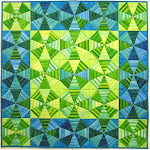 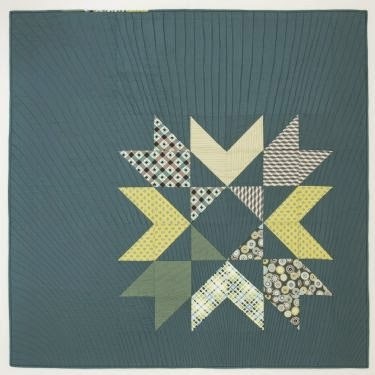 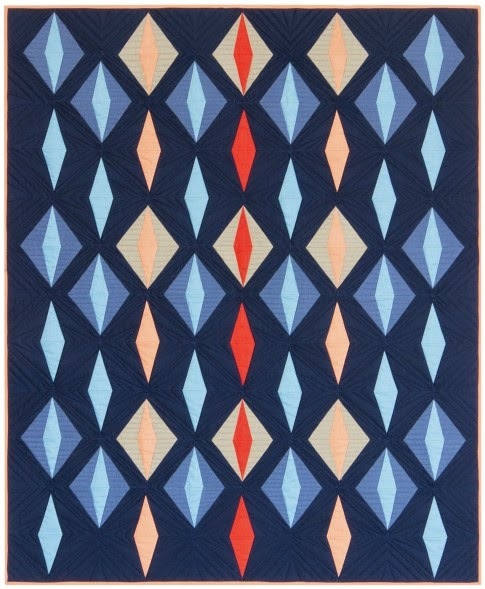 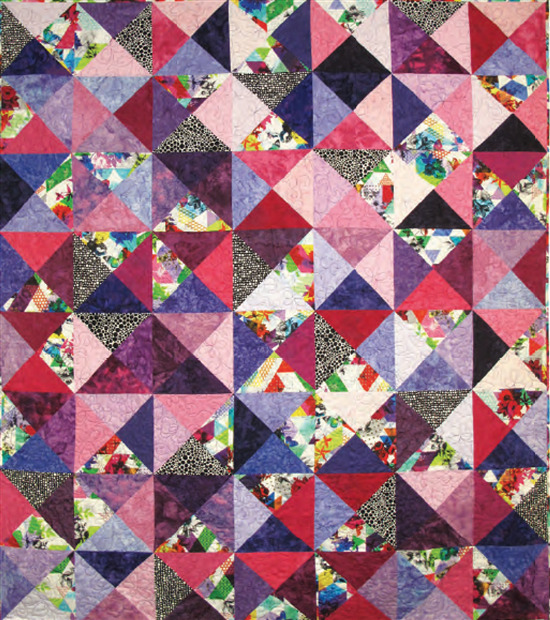 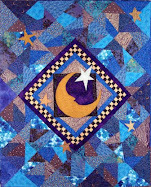 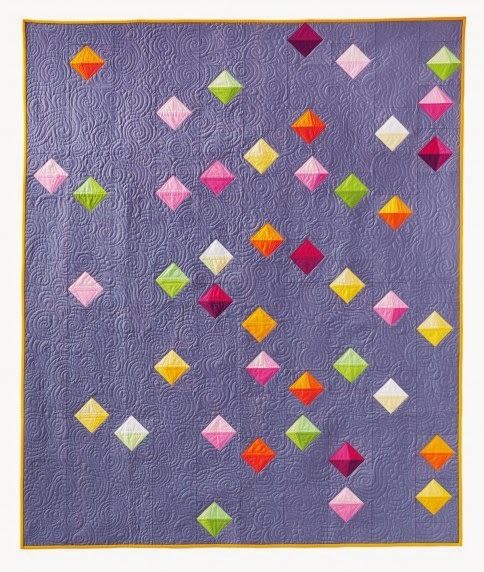 A few months later, the quilt became an award-winner, receiving a blue ribbon in its category at the 2011 AQS show. 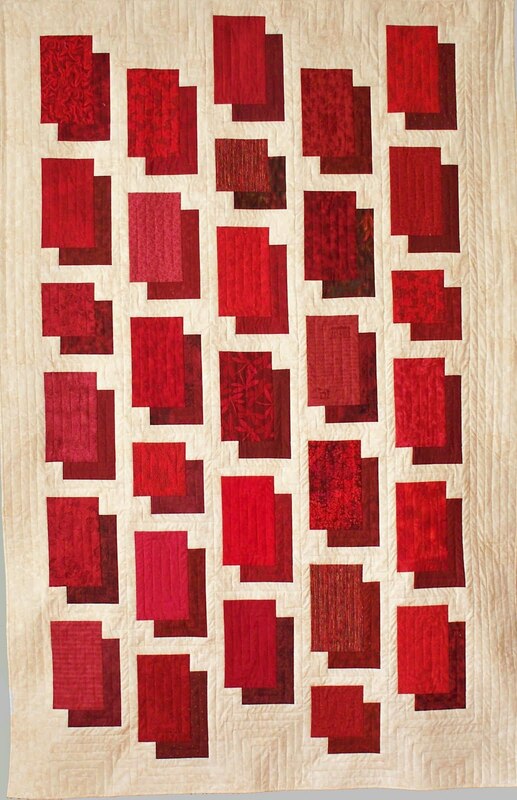 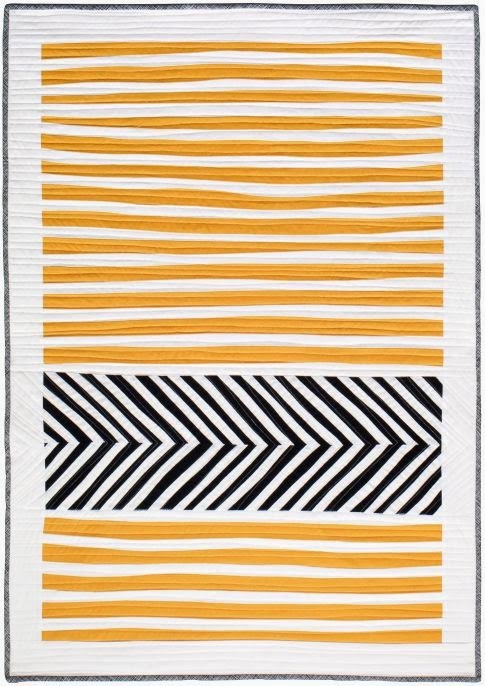 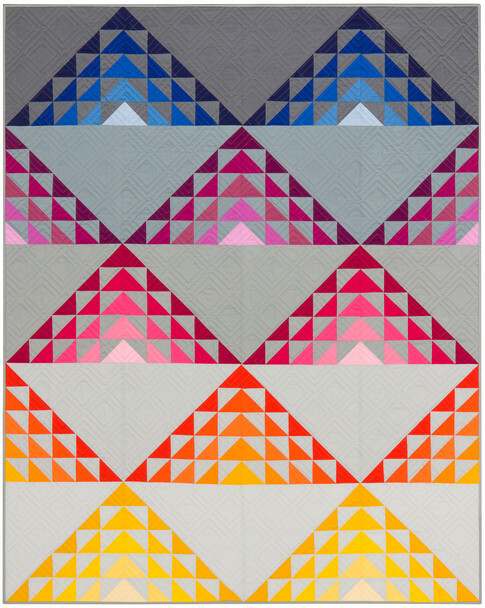 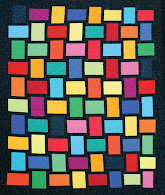 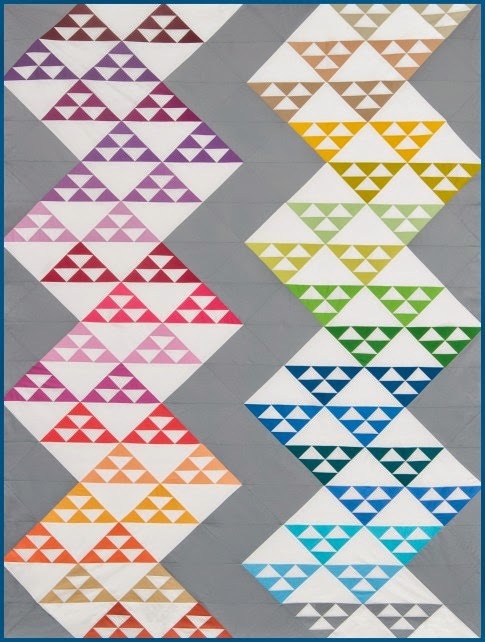 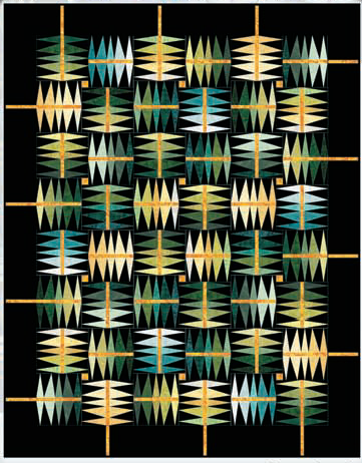 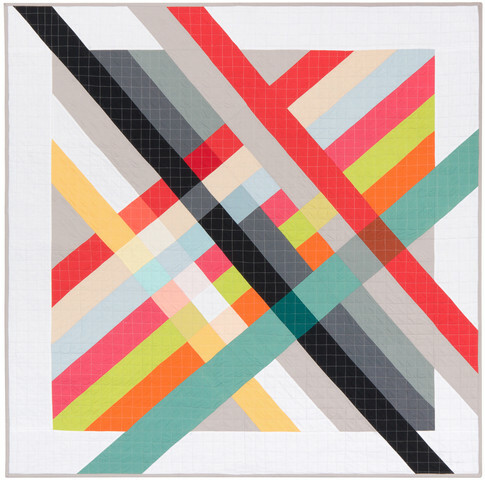 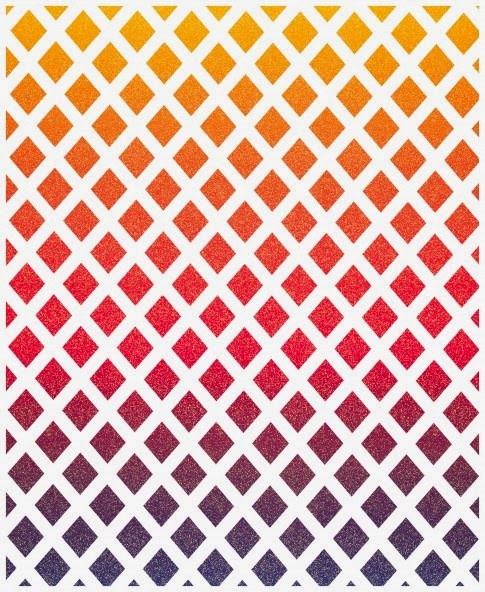 Often using solid colors and simple shapes, Debbie Grifka's modern, minimalist quilts are fresh and original. 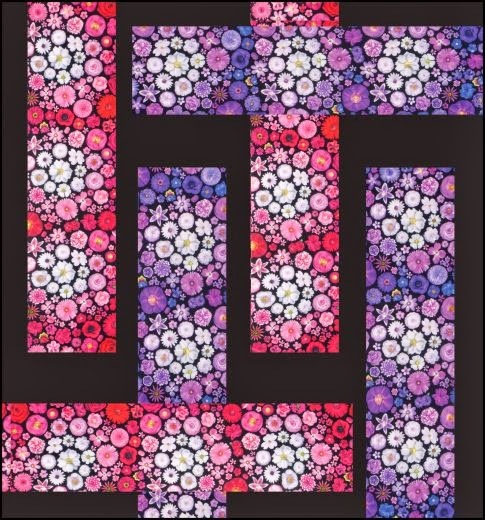 Here are a few of her great designs. 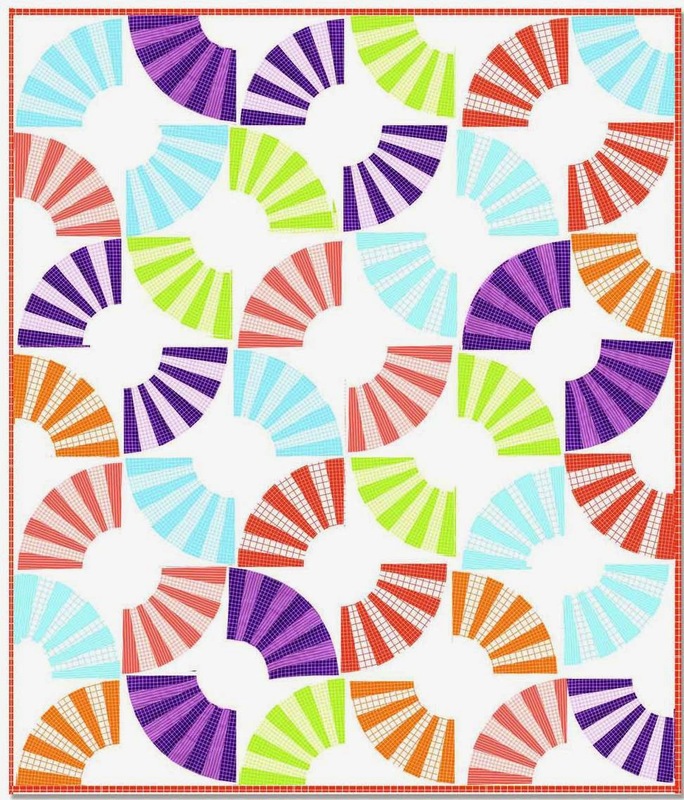 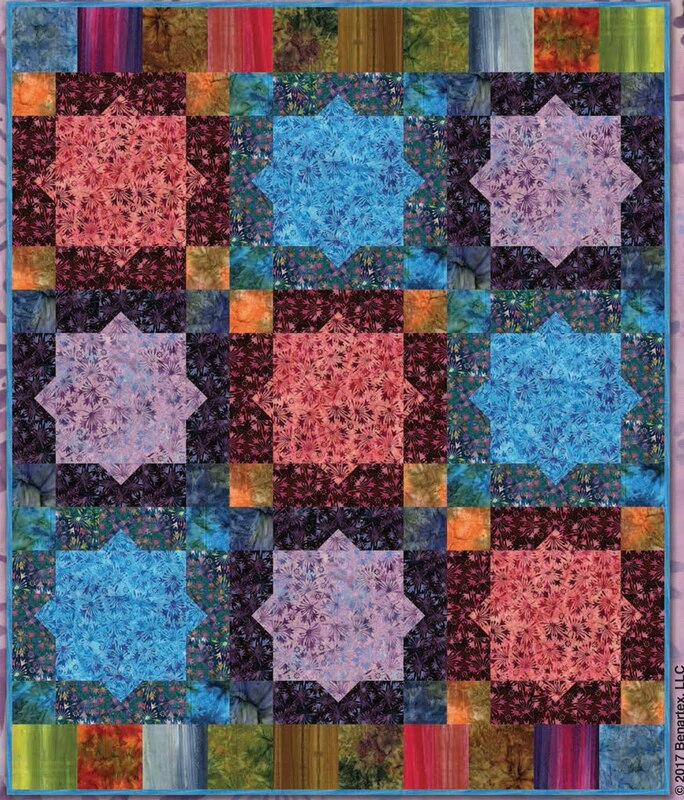 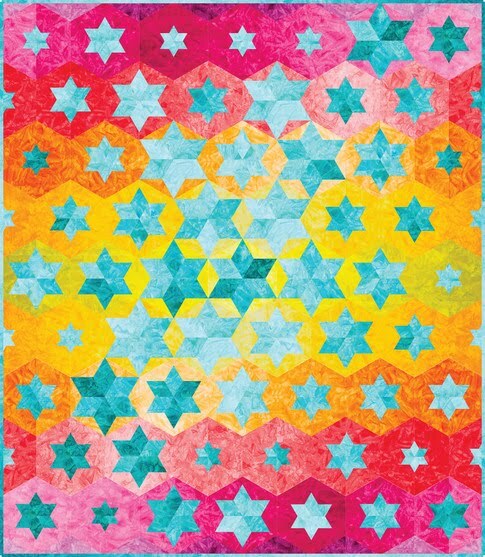 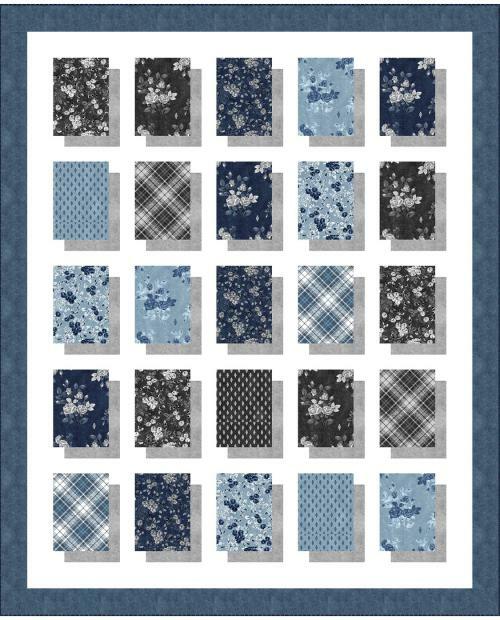 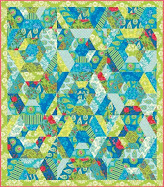 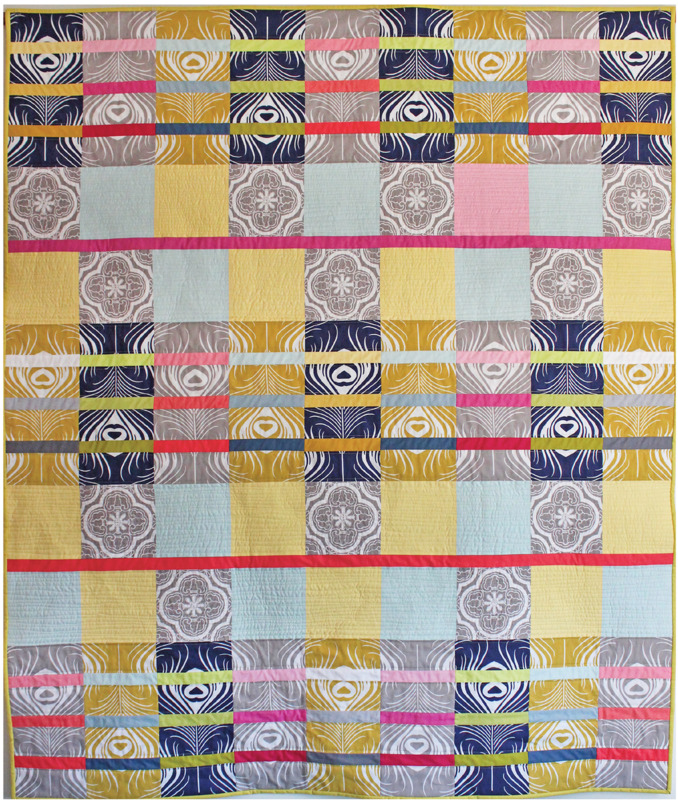 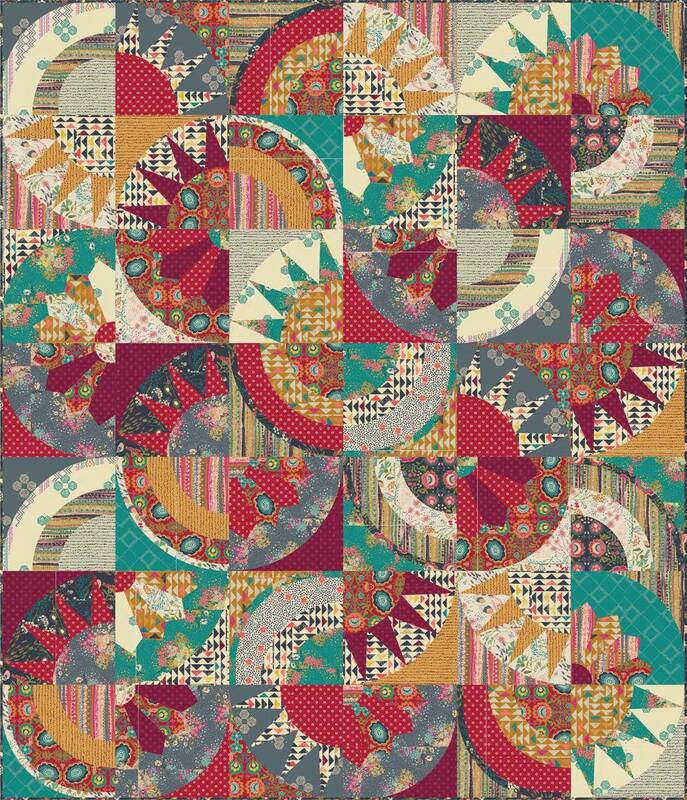 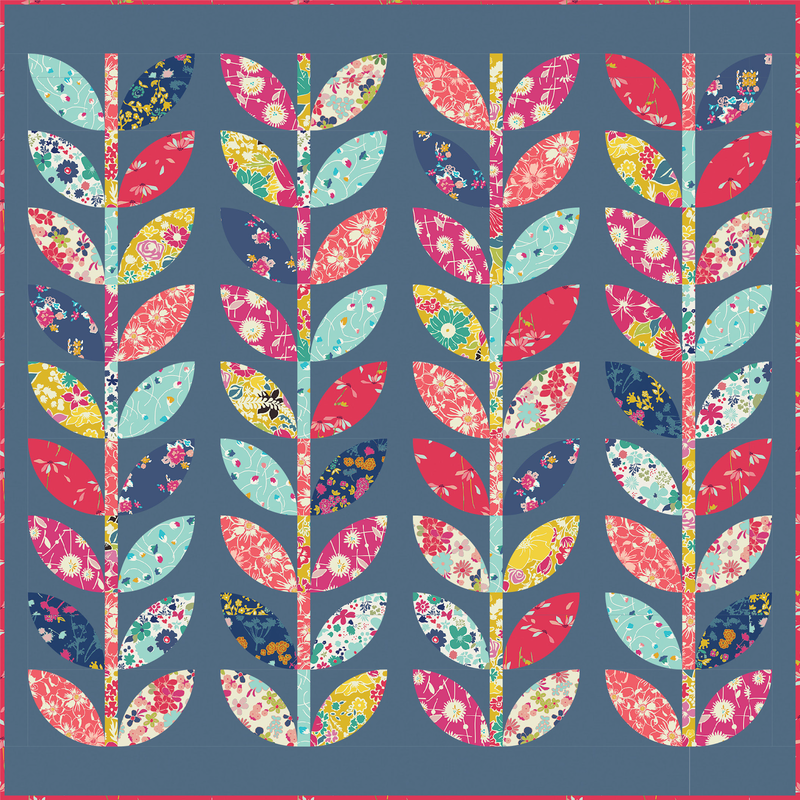 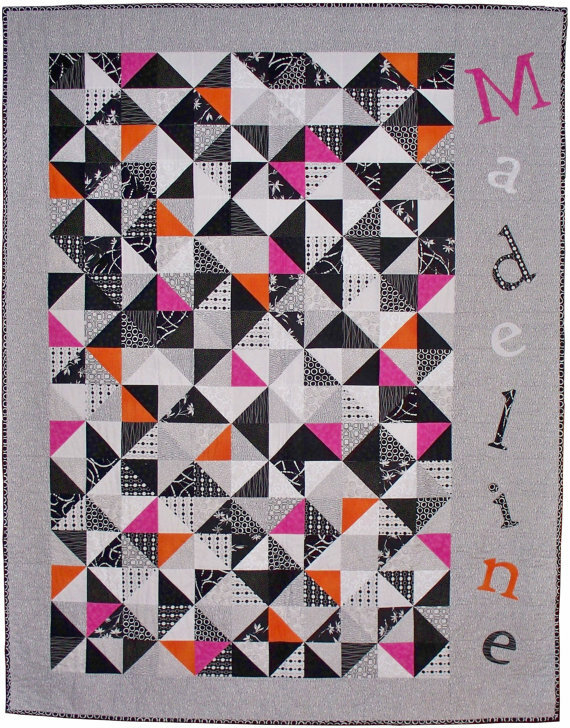 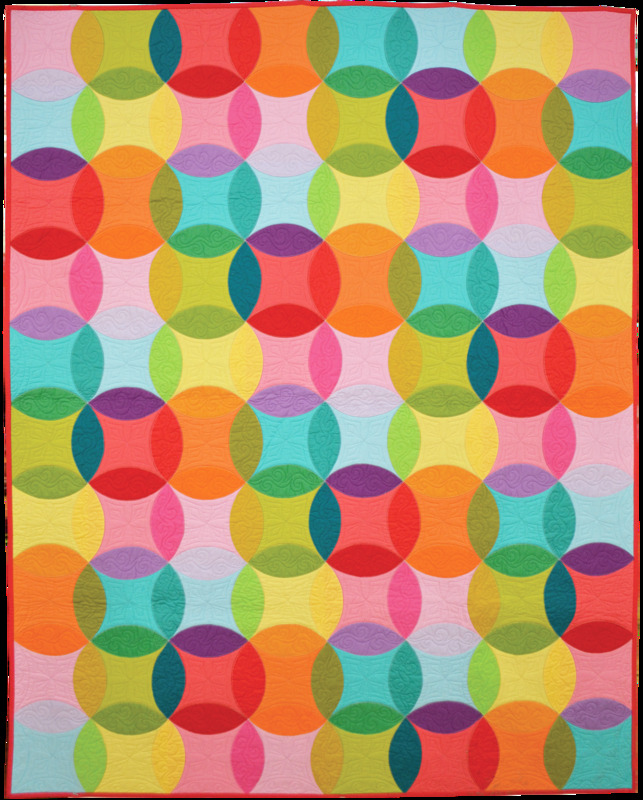 "Madeline" is made with Debbie Grifka's newest pattern, "Spell It Out", which is available in 5 quilt sizes. 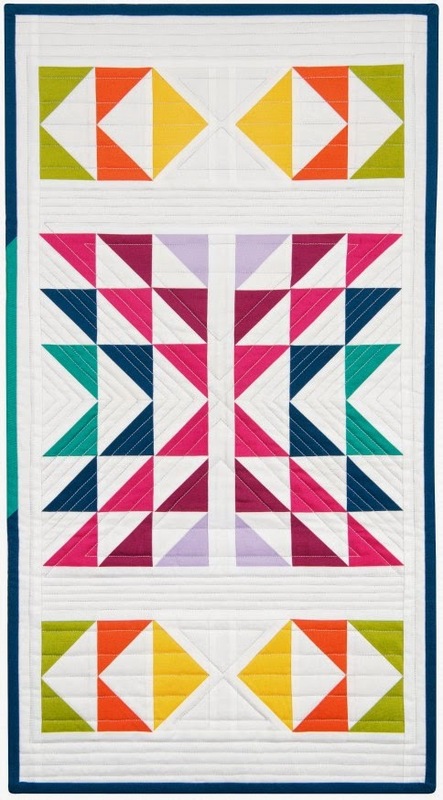 A full alphabet of letters in upper and lower case are included in the pattern, so you can personalize the quilt by spelling out any text you want in the margin ! 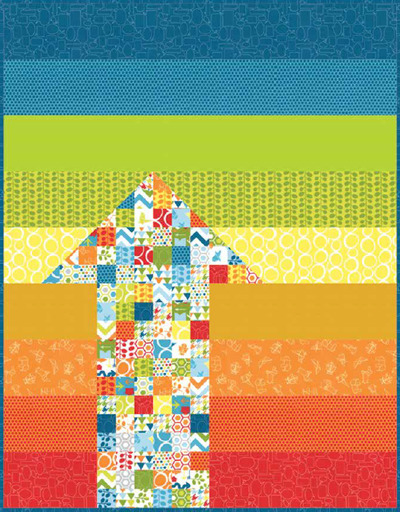 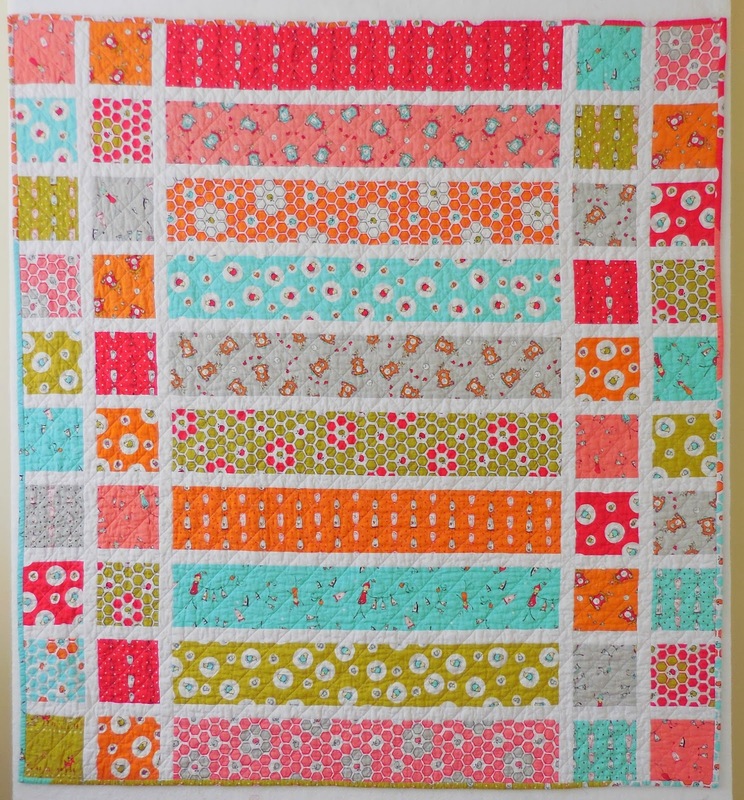 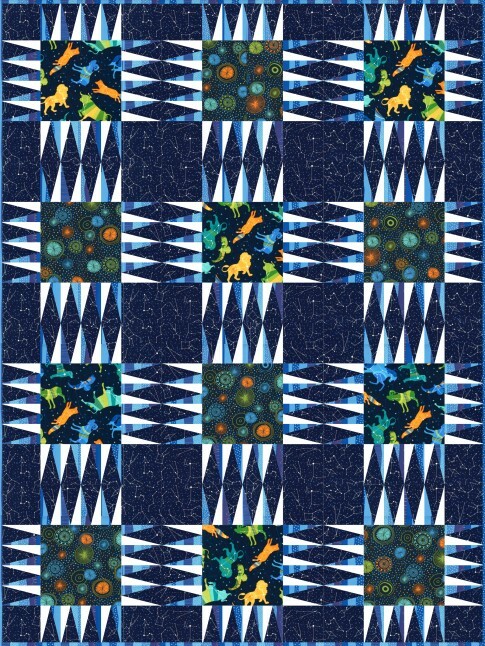 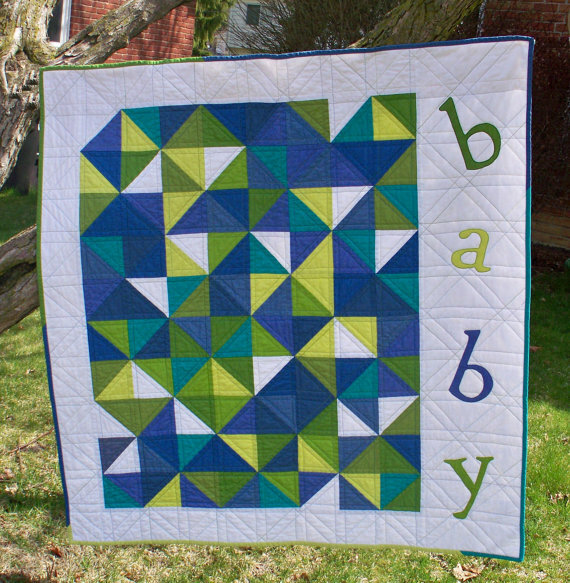 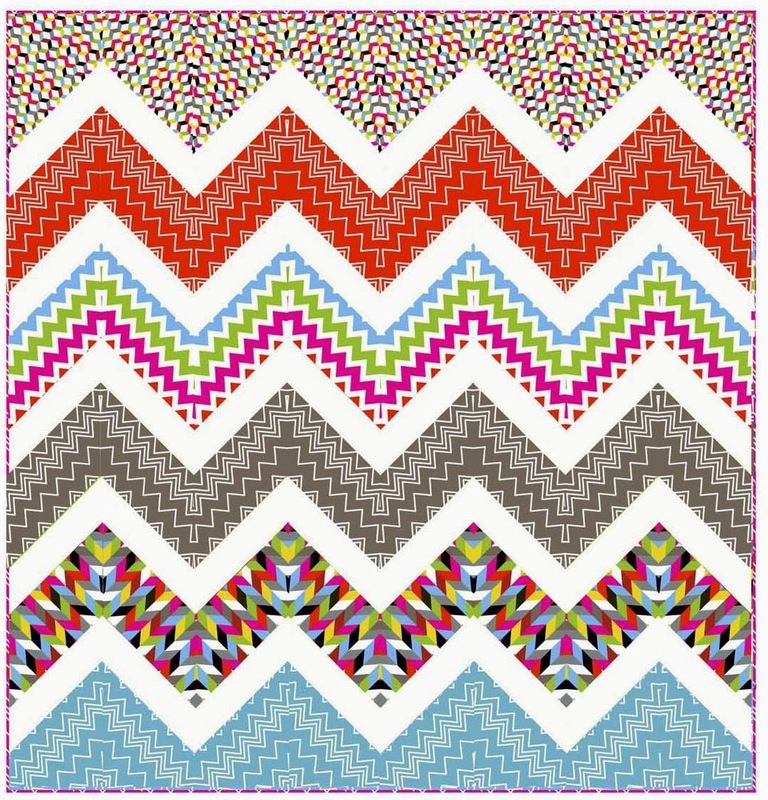 The modern baby quilt is shown below. 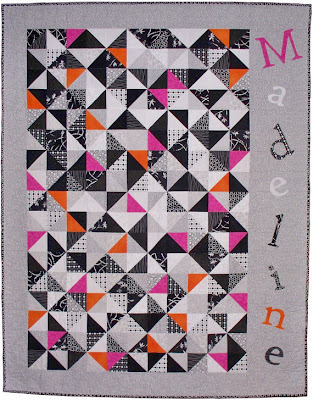 You can read about "Spell It Out" here, and about "Madeline" here. 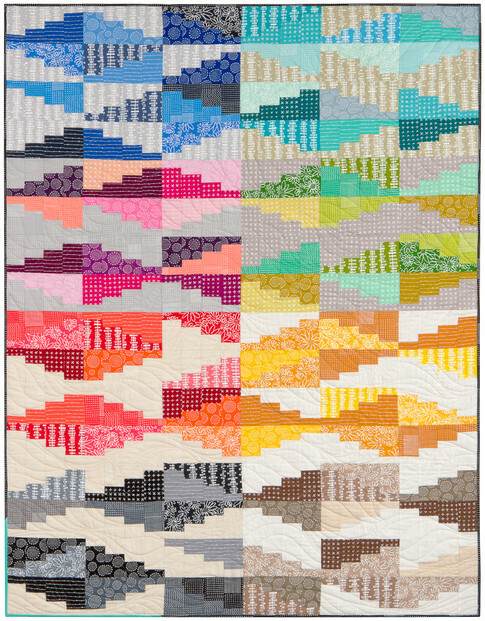 This bold, graphic quilt with its simple-to-piece shadow boxes would be beautiful in any color scheme, and can even be made with fabric scraps in medium and dark values. 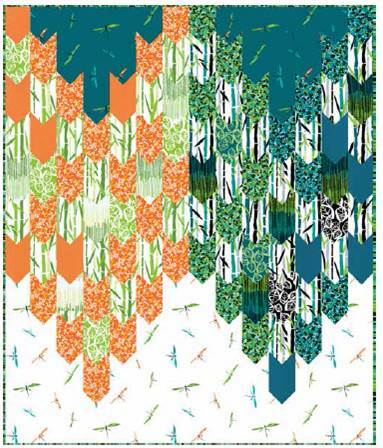 Debbie Grifka designed these houses for easy construction. 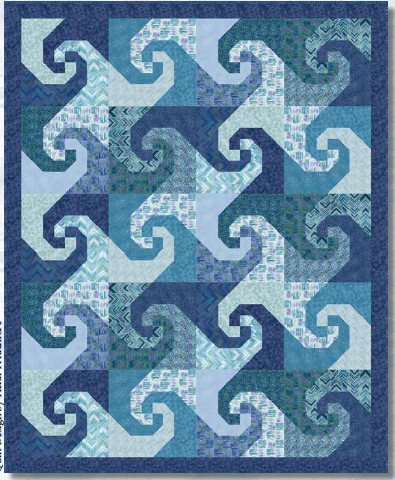 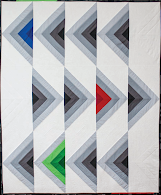 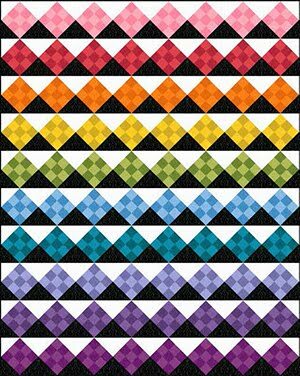 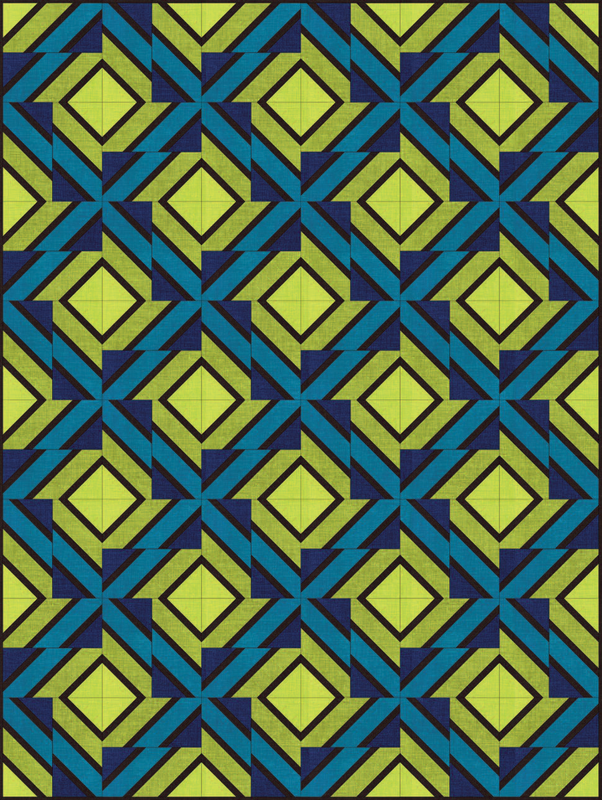 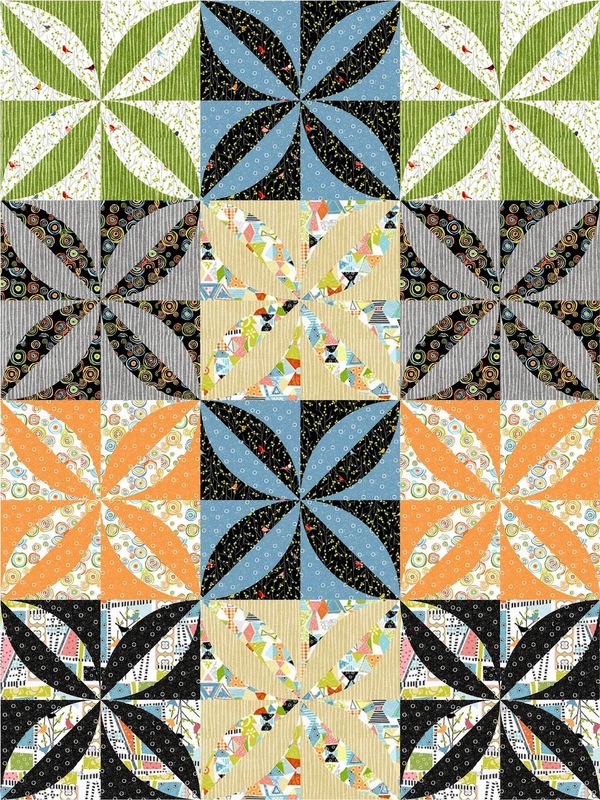 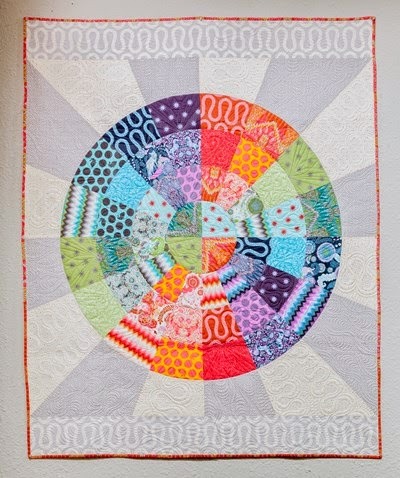 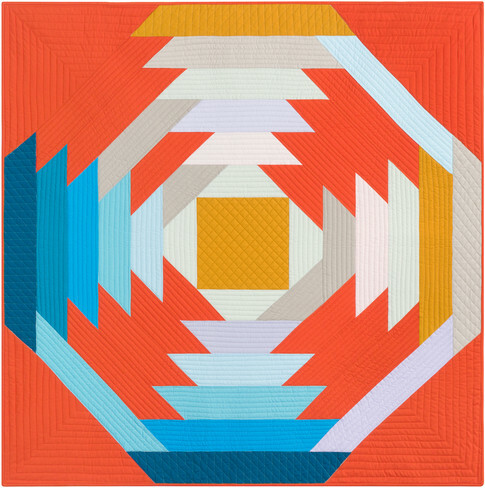 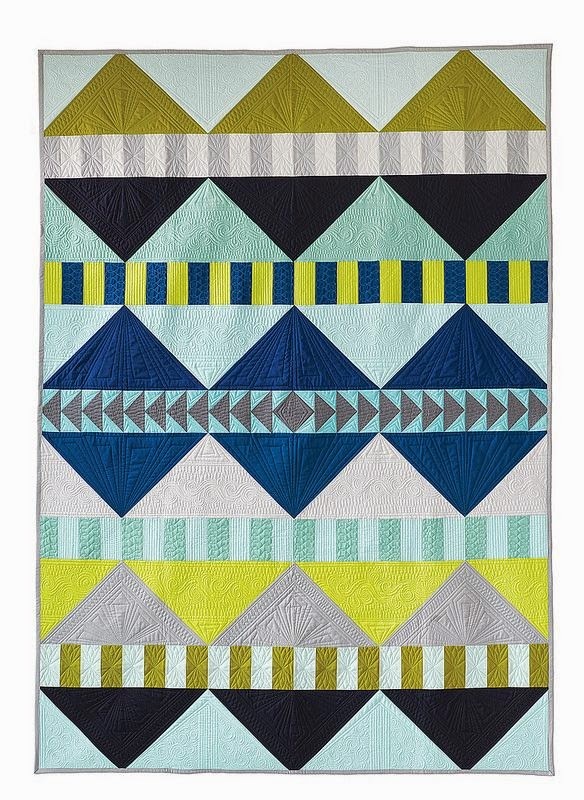 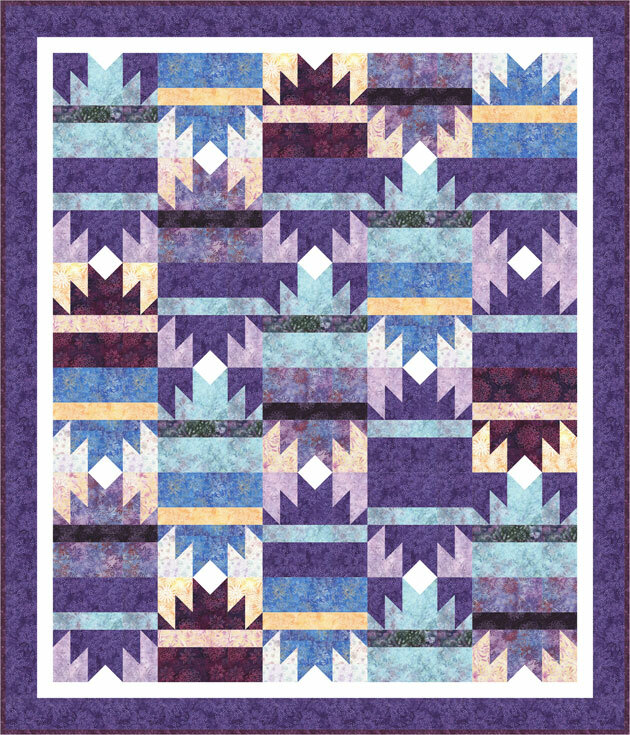 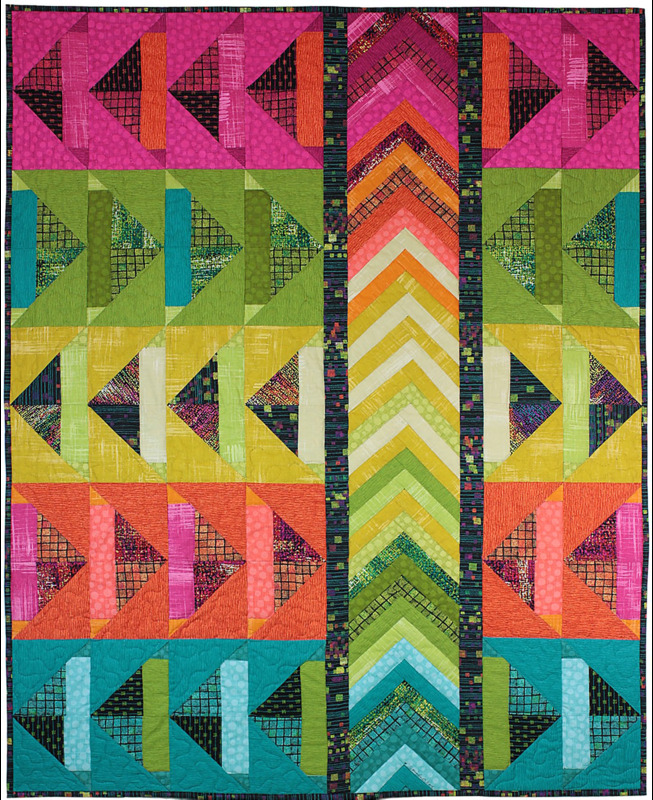 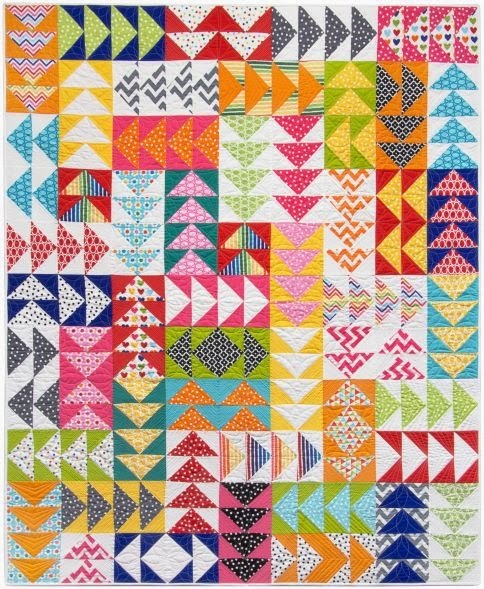 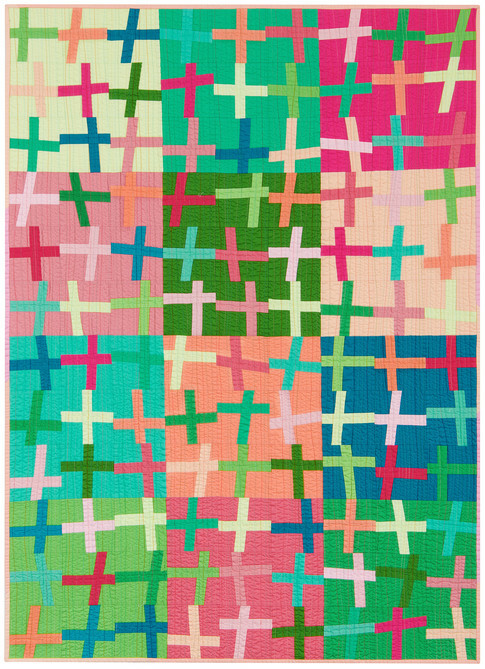 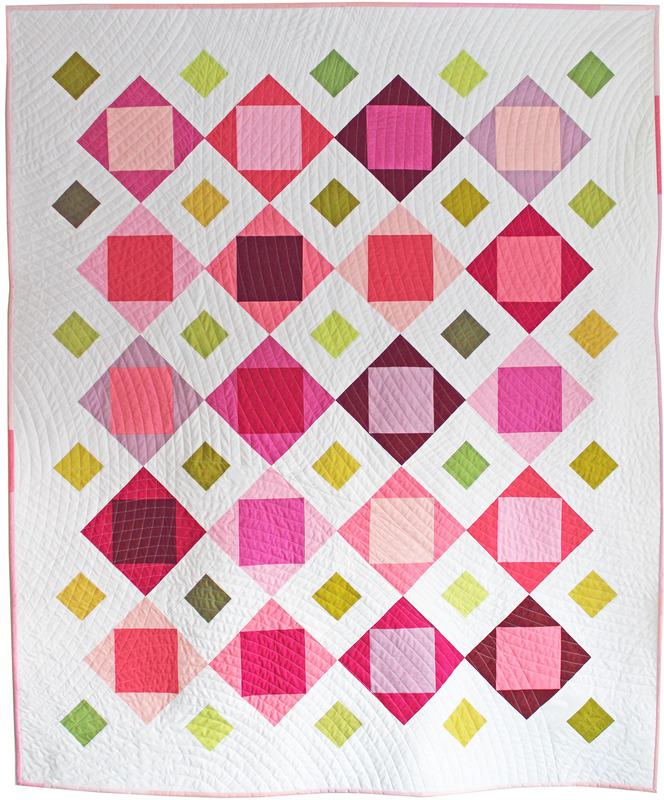 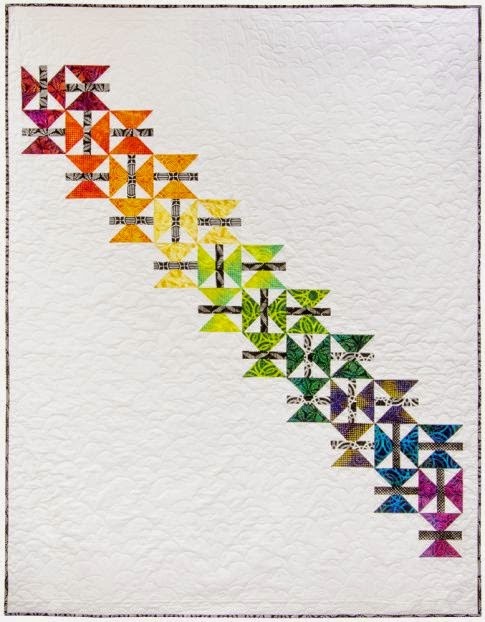 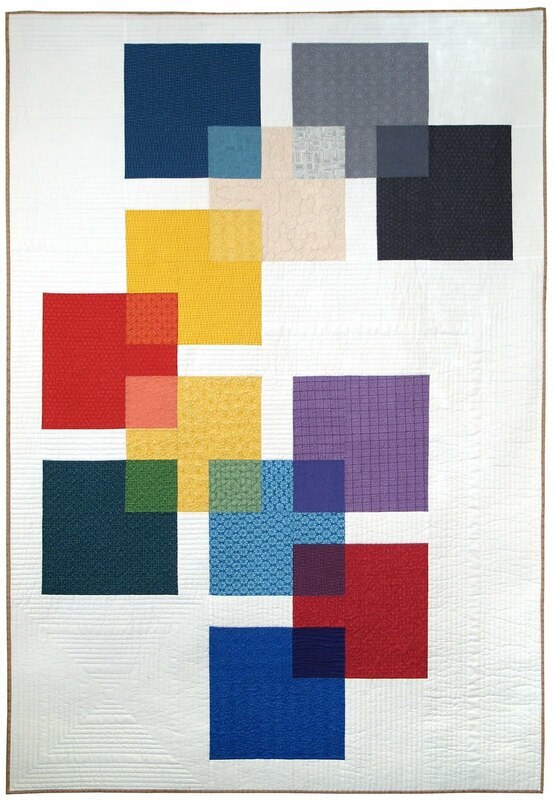 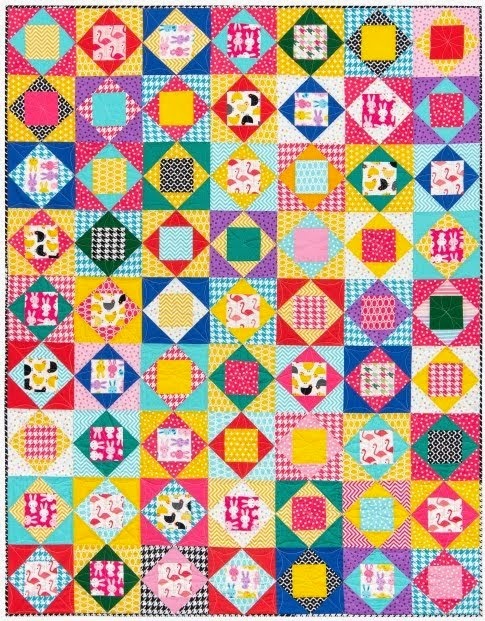 She says: "I have always loved house quilts, but the blocks have too many pieces -- so I simplified mine to just six pieces." 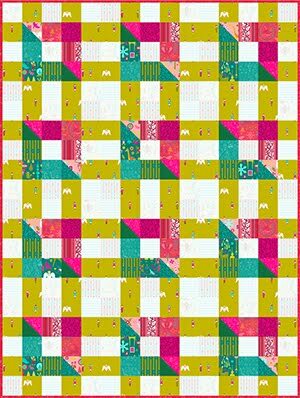 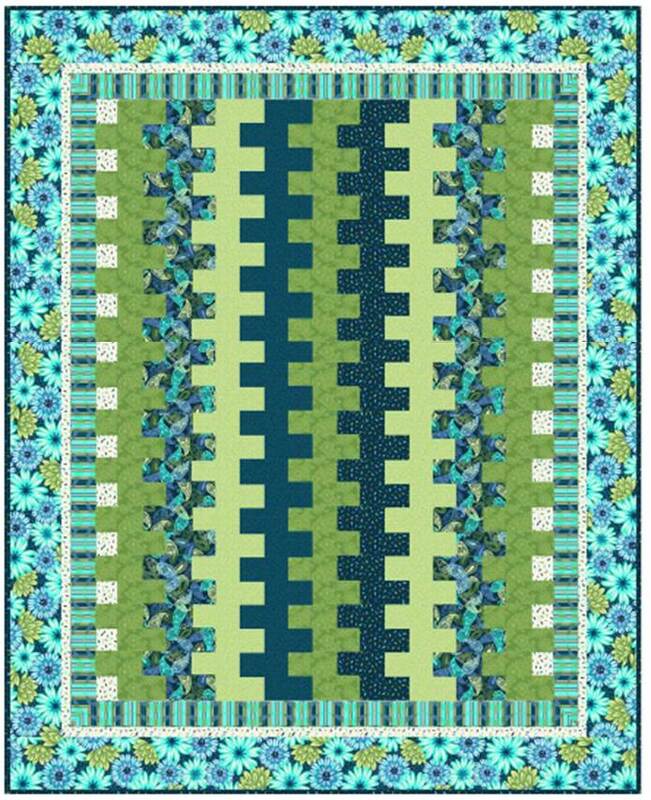 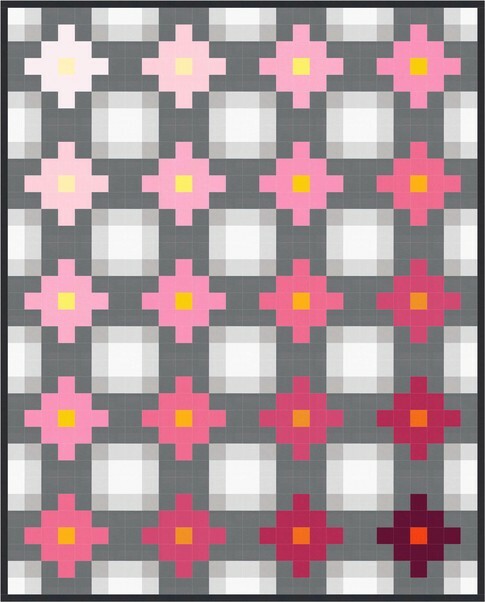 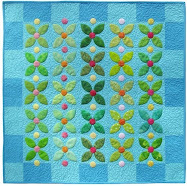 In addition to this table runner, you can see a wonderful quilt made with the blocks on the Esch House Quilts blog. 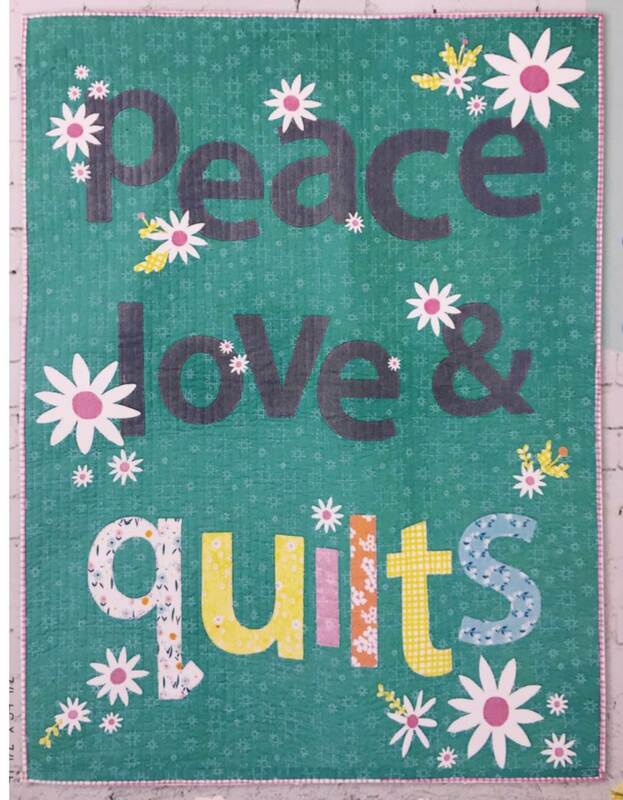 Image credits: Images are shown with the generous permission of Debbie Grifka at Esch House Quilts. 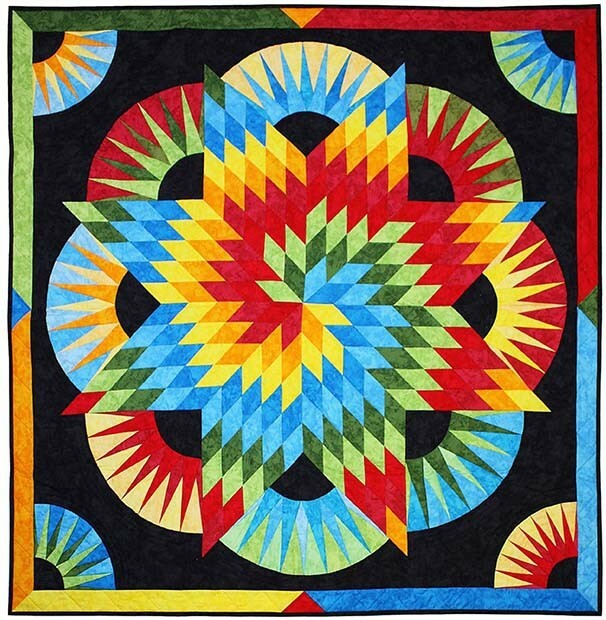 I love Debbie's patterns and quilts. 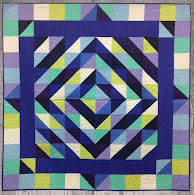 Such fun to see them on your blog.